I am still climbing stairs. In fact visited Portland and Seattle a few months ago and will add those stairs to the blog. Just haven't updated my blog in a while. Been busy, but I have more plans for stairs in the future as well. 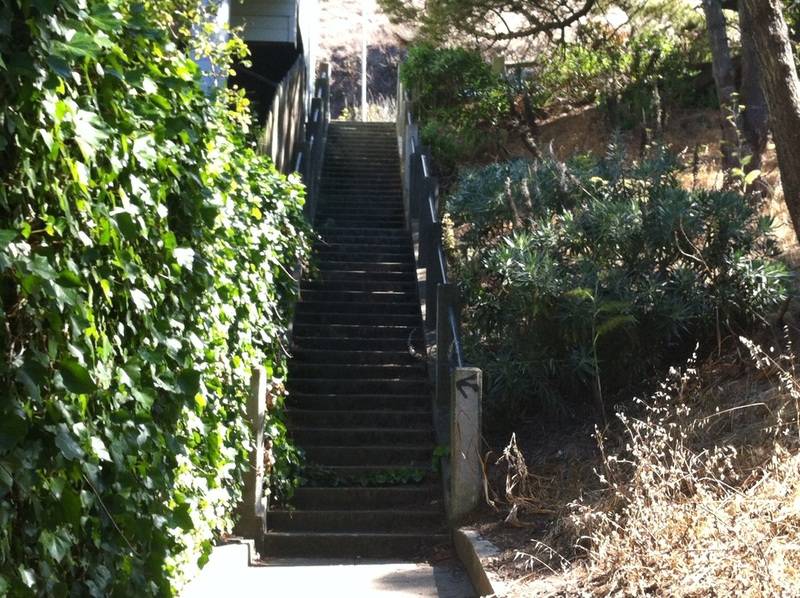 I plan to visit LA pretty soon and explore some of their secret stairs. Weather has been very cold in the bay area recently and so most of my workouts have been indoors but I can't wait to get back out very soon. 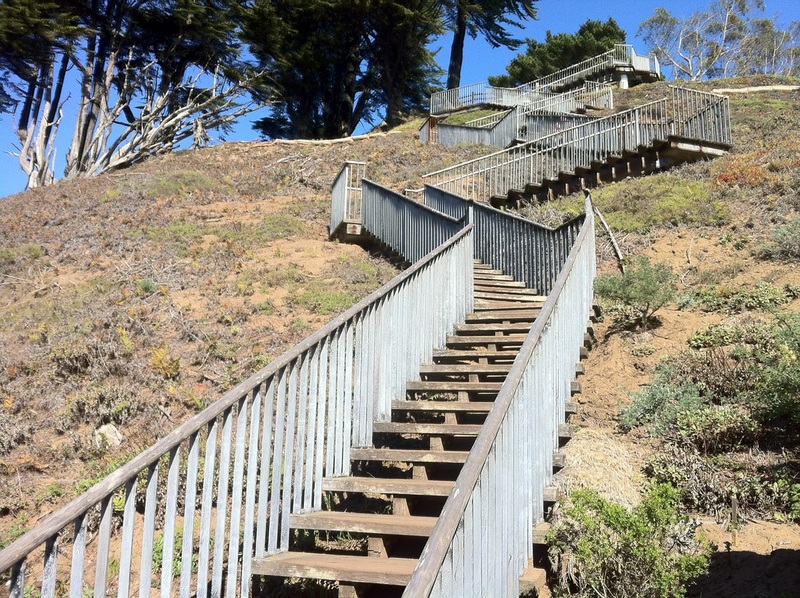 Today I climbed a 127 step stairway while I was in Pacifica. 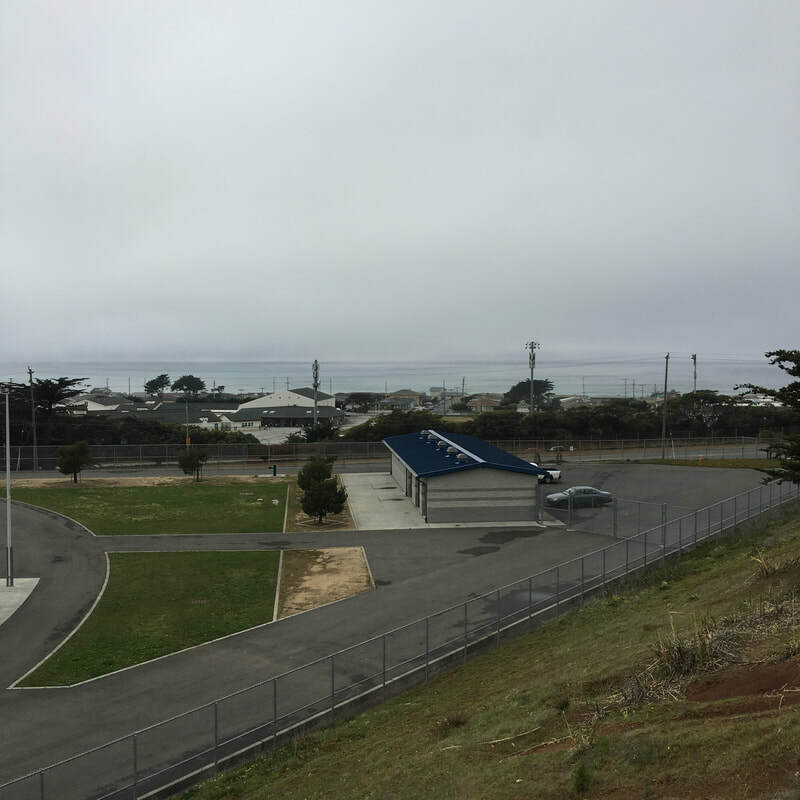 It's located at Oceana High School. I went for a swim at their public pool and wasn't expecting this stairway to pop up. 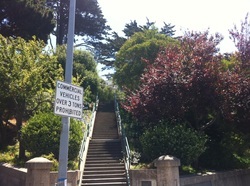 I was thrilled to learn that this stairway is over 100 steps. Not the most ''obsure'' set of steps but steep and easily accessible. Great for getting in repetitions. Just ahead and to the right is the Chestnut Stairs. The Chestnut Stairs have 2 sides. I took the right side. I was starting to get my heart rate up with it's steep steps, and continued uphill and turned right onto Larking. 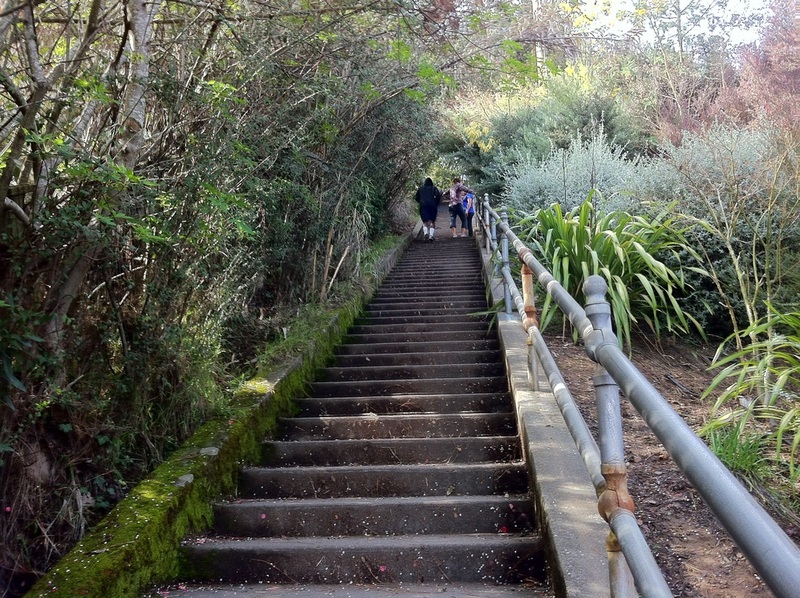 Another steep set of steps onto George Sterling Park. Walked to the other side of the park and turned left on Greenwhich. 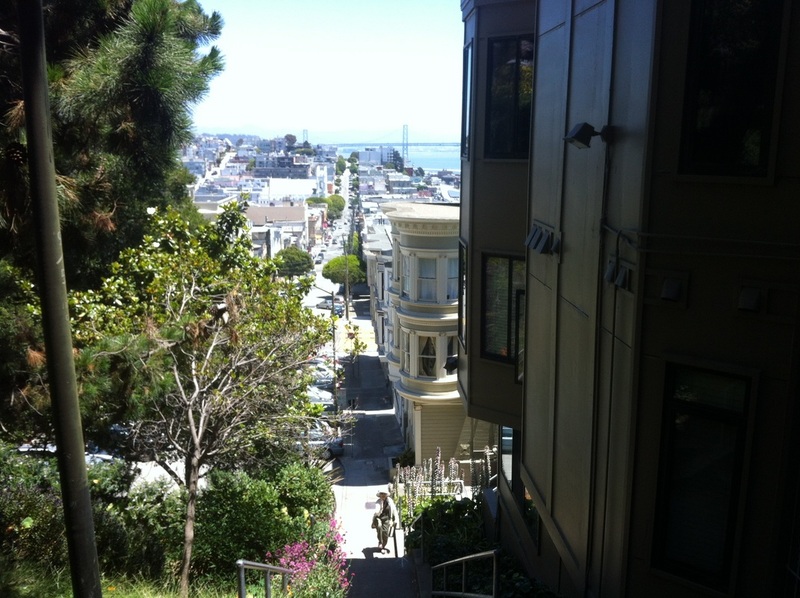 Once I reached Hyde, turned left again and reached the famous Lombard Steps. 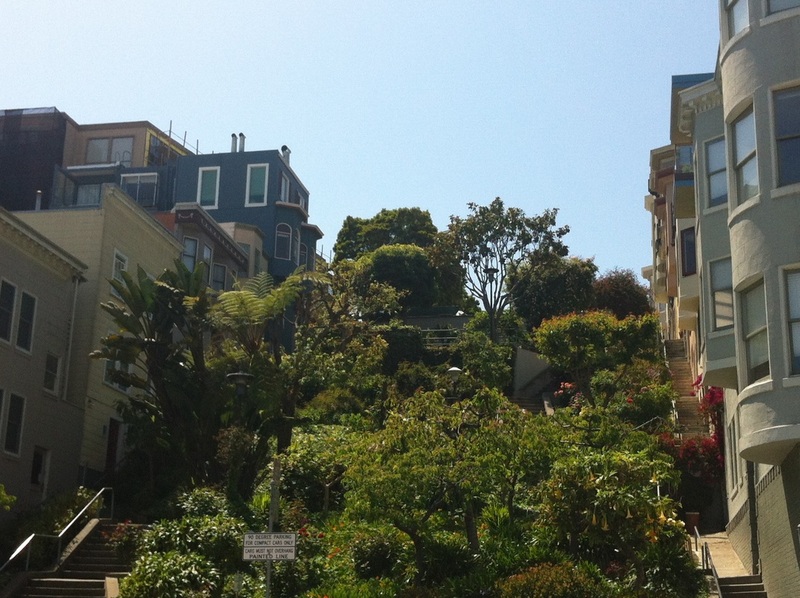 Lombard Street was very crowded on this Tuesday. But I can say that people were really filled with joy and grateful to be there. I even saw a man sticking out his head and body out of the car he was in to get a good picture, and cheered for joy with the crowd. The garden looked really healthy. I walked down these 200 plus steps. Turned right onto Leavensworth and climbed up the big hill. Just after passing Union St, took the alley on the left side of the street and continued till reaching Jones St. Crossed Jones St onto Macondray Lane, which is an alley, not accessible by car. The word that comes to mind when entering this alley is tranquility. 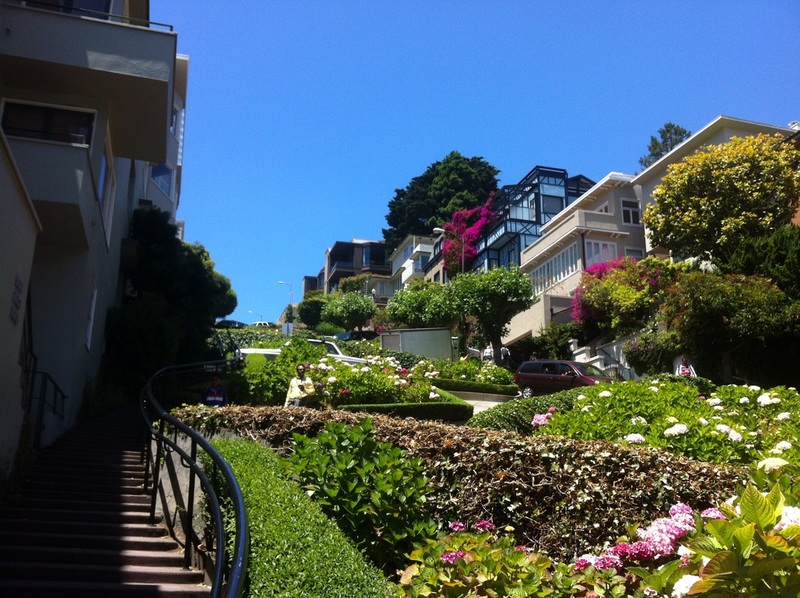 It's not very far from Lombard St. Lombard Street is famous and a tourist attraction. Macondray Lane is not and is in fact considered a hidden gem. If you ever come visit Lombard St, make sure to also check out Macondray Lane because this gives you a different experience. 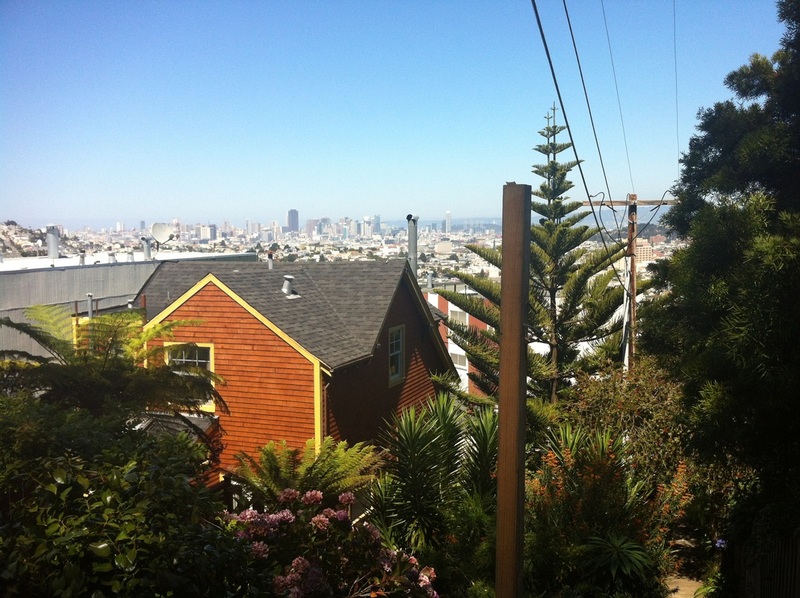 3 things I really appreciate about this lane: It's very well kept, it's peaceful, it features a water fountain with Buddha, and it also comes with a great view of the Coit Tower. Turned right onto Taylor. I can just walk up to Inna Coolbirth Park. But I don't want to do that. If I have the time, I want to challenge myself. So instead of walking straight up, I took the steep Green Stairway. This is more than 130 stairs and just another fabulous gem and very green and leafy. It matches it's name. So I'll end up going around in a square instead of going straight up to Inna Collbirth Park just to get in the extra steps and to see more on my hike. After ascending the Green Stairs, my heart is pumping. At the end of the block is Jones St. I turned left onto Jones St, and then turned left again on Vallejo. 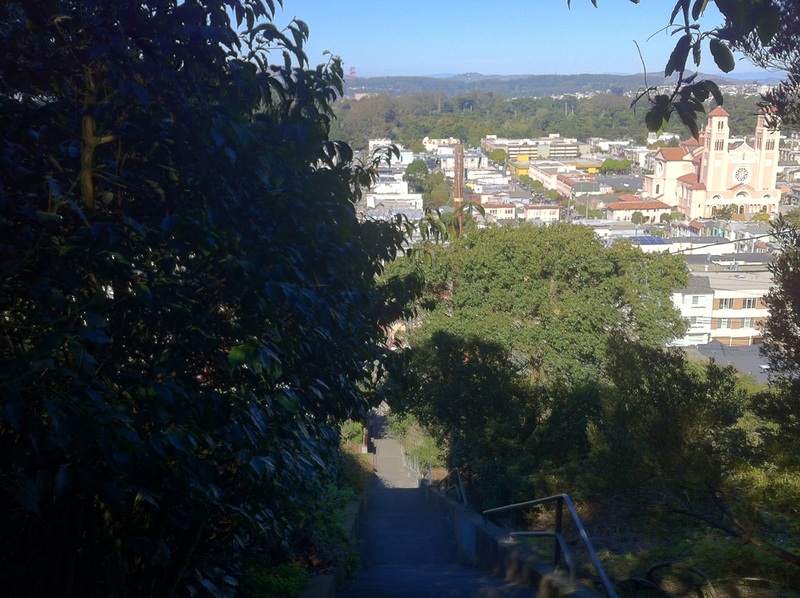 Though not very long in stairs, Vallejo Stairs carry one of the best downtown views. There are many views in the city but what makes this view unique is that you feel almost like you're on top of the city. It comes right before the Inna Coolbirth Steps. 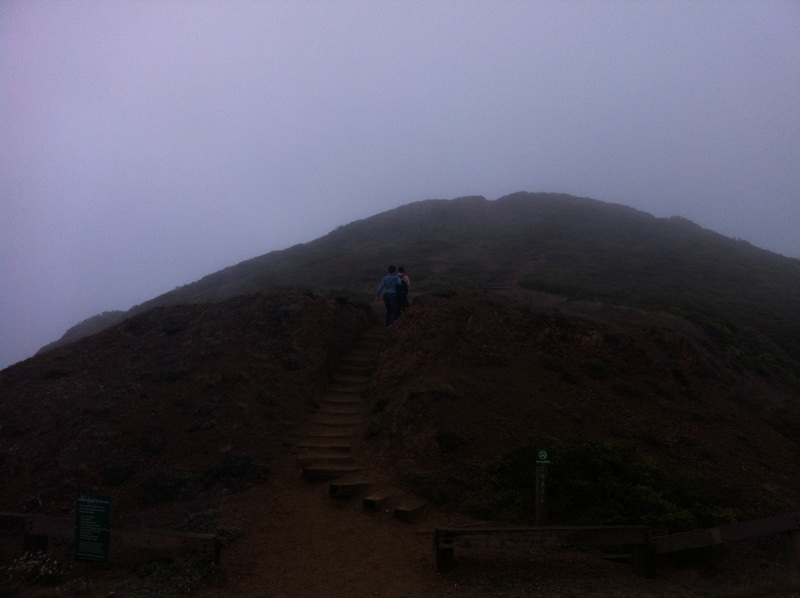 Today's stairway hike in San Francisco revolved around 3 staircases in Golden Gate Heights. In total I finished 5 staircases, climbed 3 and descended two. I started on 16th and Kirkham. I'm very impressed with this new tiled staircase, I always see many people touring it. It's starting to really intrigue people passing by. I can see other staircases in this neighborhood getting gentrified as well, the community takes a lot of pride and commits themselves to preserving these staircases. 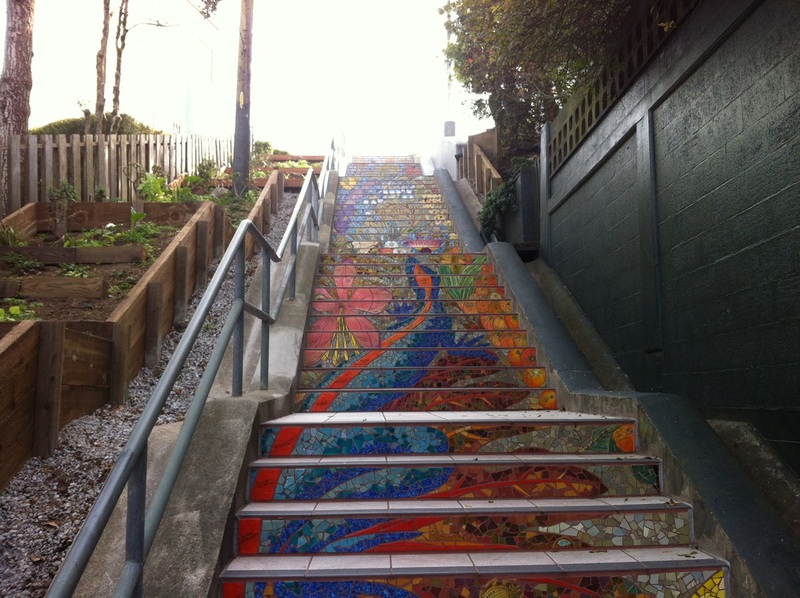 My second stairway was also a tiled one on 16th and Moraga. 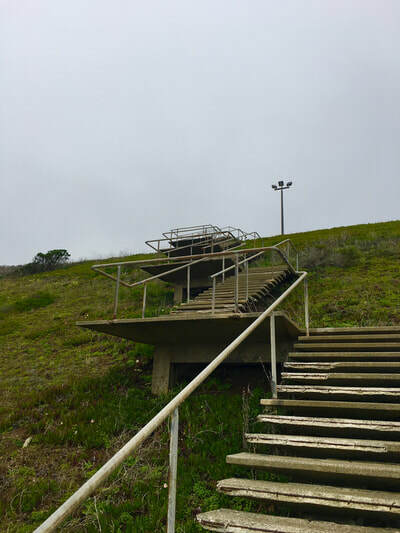 As soon as you climb the first stairway, you can find this one by continuing right on 16th ave.16th meets Lomita after a few blocks slightly uphill. I climbed this famous staircase and sat at the top for a couple of minutes and took in the gorgeous view. I attempted to take a pic of the view but a lady was being pesky. I had absolutely no interest in her, but she somehow thought I was trying to film her as she was jogging up and down the steps and she gave me the finger. So there is no pic of that scene. I have no idea what she possibly thought I was trying to do. 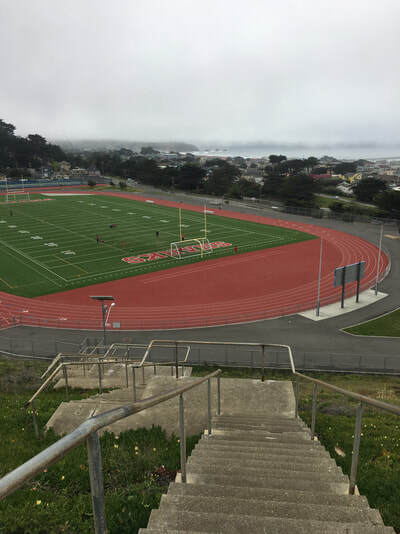 My third stairway takes you up to Grand View Park, a gorgeous panoramic view of the city and Golden Gate Bridge. 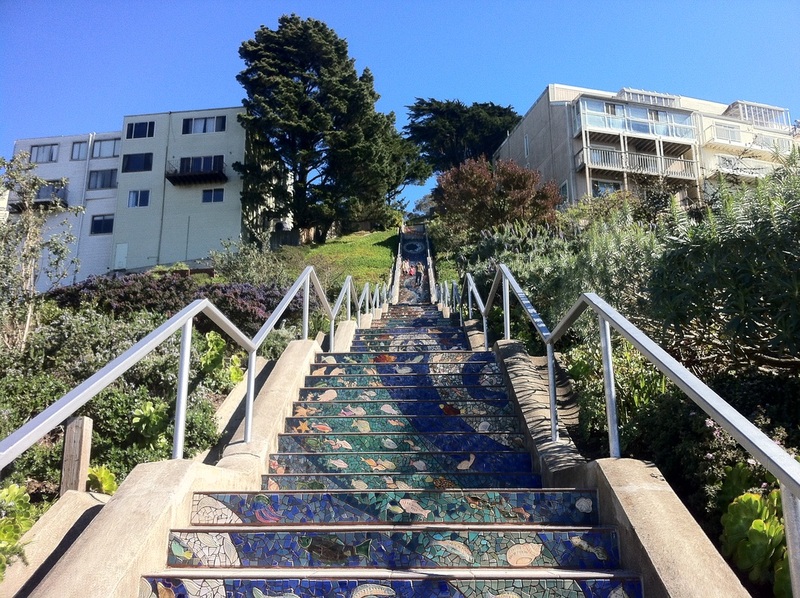 After climbing the mosaic tiled Moraga stairway, turn slightly right on 15th avenue until you reach a mini stairway of about 20 steps, then cross the street and the enormous, spiral staircase is just ahead. 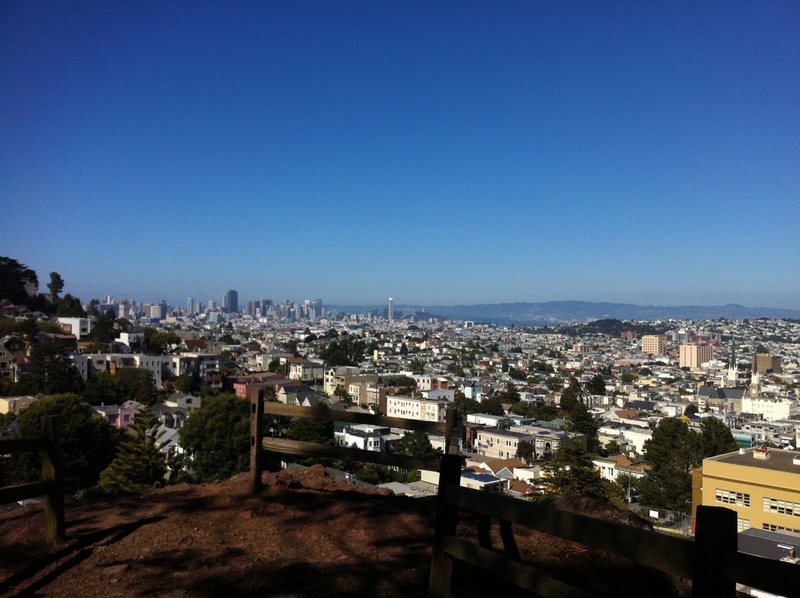 A plethora of folks stood around taking in the view at the top of Grand View Park. And it surely was a grand view today. On the south side of the park, they have a stairway built, which constitutes of about 100 steps. This will take you down to 14th ave. I took a left on 14th avenue down the block to 15th. 15th took me to Lawton. After turning left on Lawton, I spotted the stairway on 15th and Lawton. This is a neat staircase, consists of 207 steep steps and takes you down to Kirkham,and is ultimately right next to the first tiled staircase. 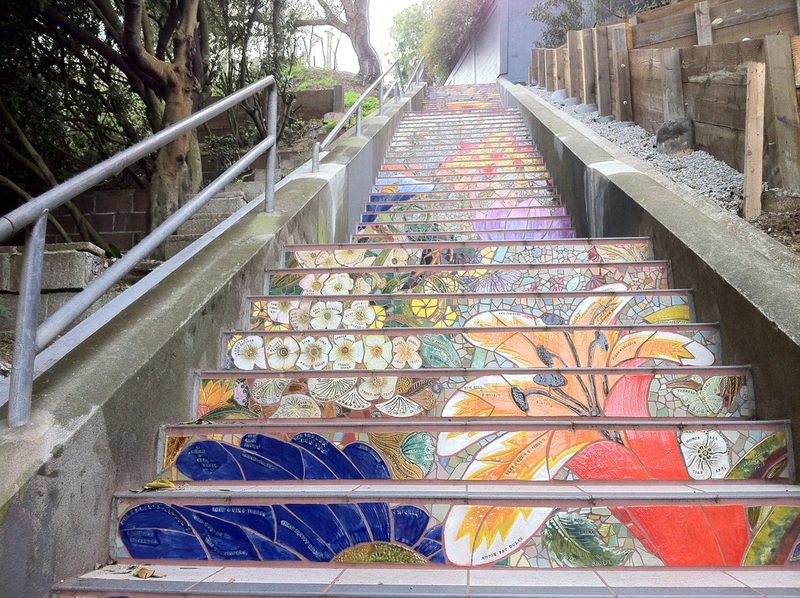 The ORIGINAL tile steps on 16th and Moraga! 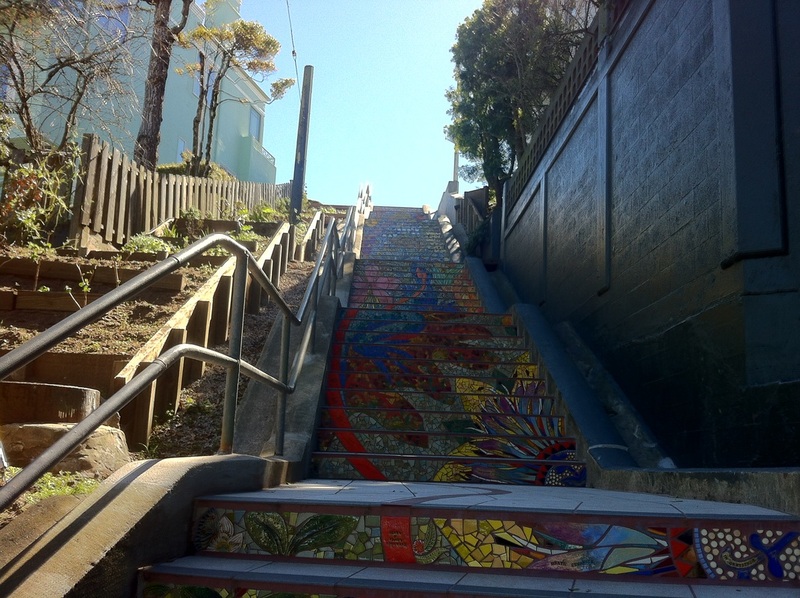 Today's hike started on Moraga and 16th, up the Mosaic Tiled Stairs (photo 1 and 2). In San Francisco, the weather has served us much better than Summer has. The sky has less clouds. September and October are valuable months for stair climbers. 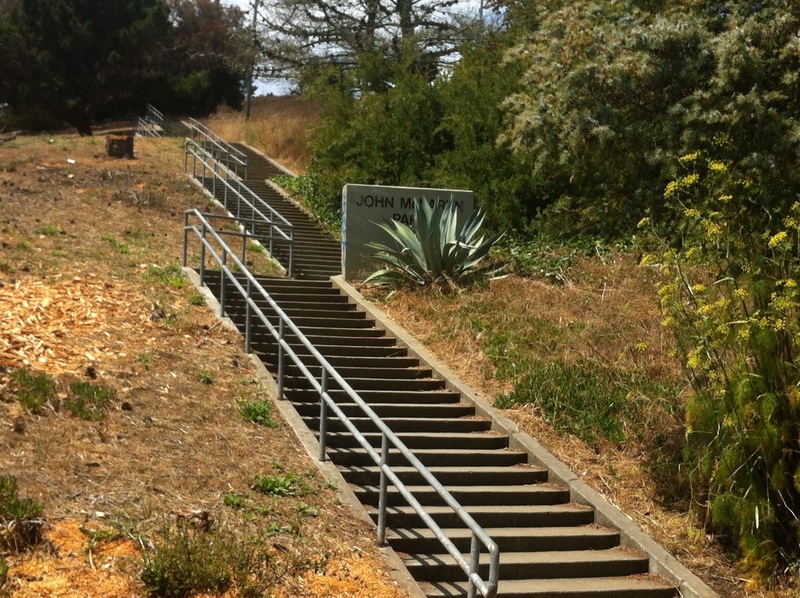 My goal for today was to explore Oriole Stairs and Quintara Stairs for the first time. After climbing Mount Stairway, turned right onto 14th Avenue. 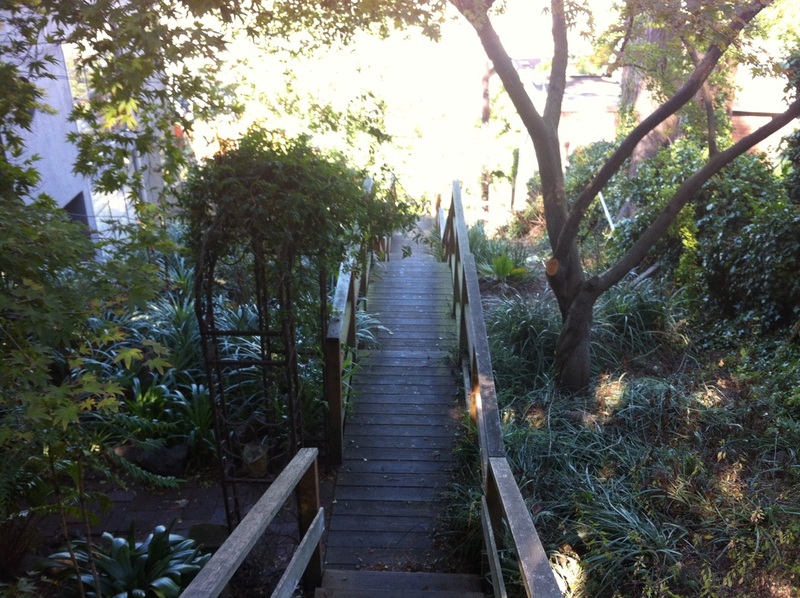 Off of 14th, found the Aerial Stairway. Climbed that stairway, and continued onto Aerial St. Aerial has a southern stairway, I reached it and descended down. 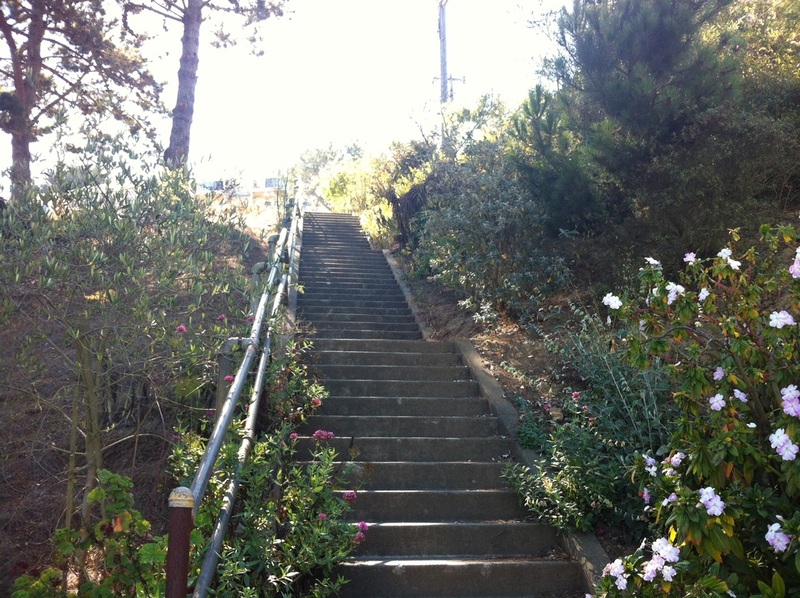 I must say, this stairway looked much more panoramic and beautiful compared to how I remembered it. Sometimes photos do not capture everything you would like and consequently, your mind remembers the photos more than the experience. Upon descending the Aerial Stairs, continued walking on Ortega until reaching 11th Avenue. Ascended a curved 25 steps onto 12th Avenue. Turned left and continued on Cragmont. I finally got a chance to explore the Oriole Stairway. I love it. It's very tranquil and I love the constant sounds of the ornaments getting blown by the wind. 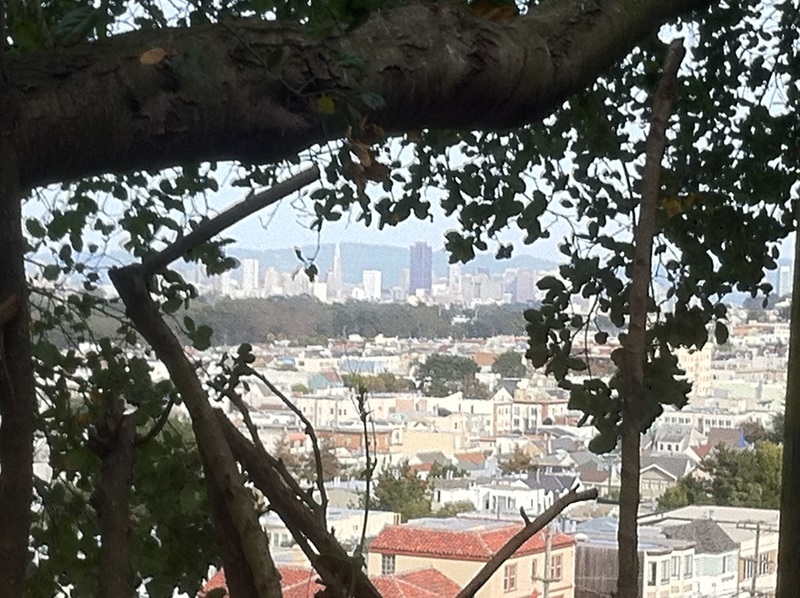 Also, the view of the city and Mount Davidson is splendid. I actually sat there for 10 minutes and had a very meditative experience. Continued on Pacheco St, then took a quick right onto 10th Ave. Walked for a block, then turned right onto Quintara Ave. I continued walking until reaching 14th Ave. This is the top of the Quintara Stairs. I was fortuitous enough to have went on a perfect day with no clouds. 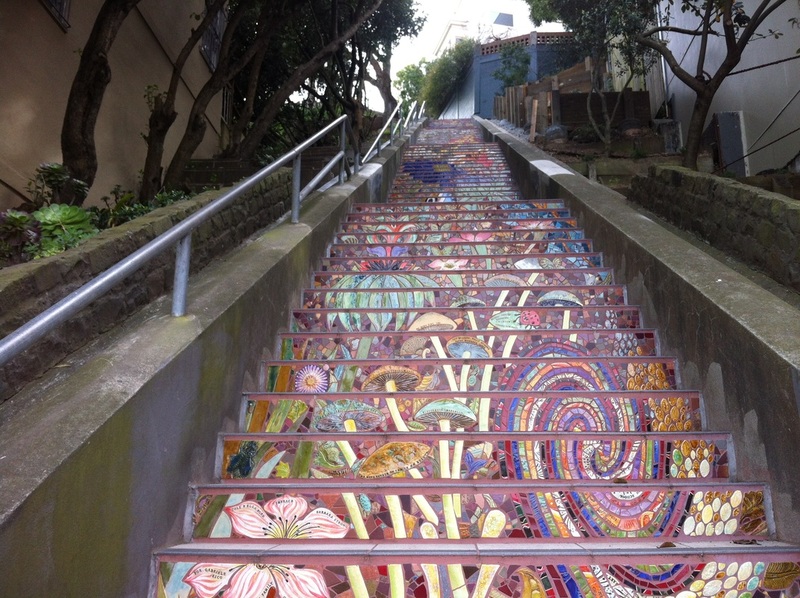 This 130 step stairway displayed some spectacular views of Sunset District. I walked on down and turned right onto 15th Avenue. I then walked straight until reaching Grand View Park. I was glad again that the weather was just right. 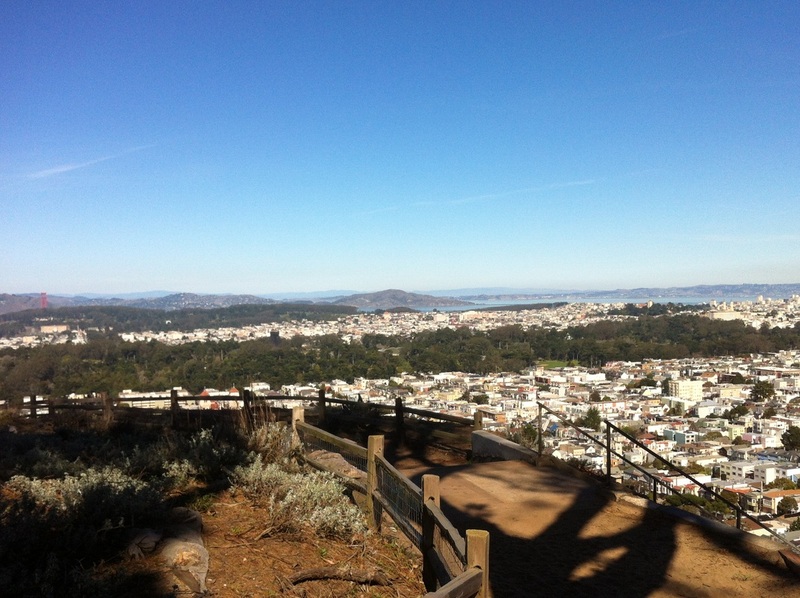 Today's hike consisted of Russian Hill, both the northern and lower sections. I'm happy to say it was a clear day and I was able to take better quality photos. I'm glad to say that my passion for urban hiking, taking photos, and writing has actually increased. 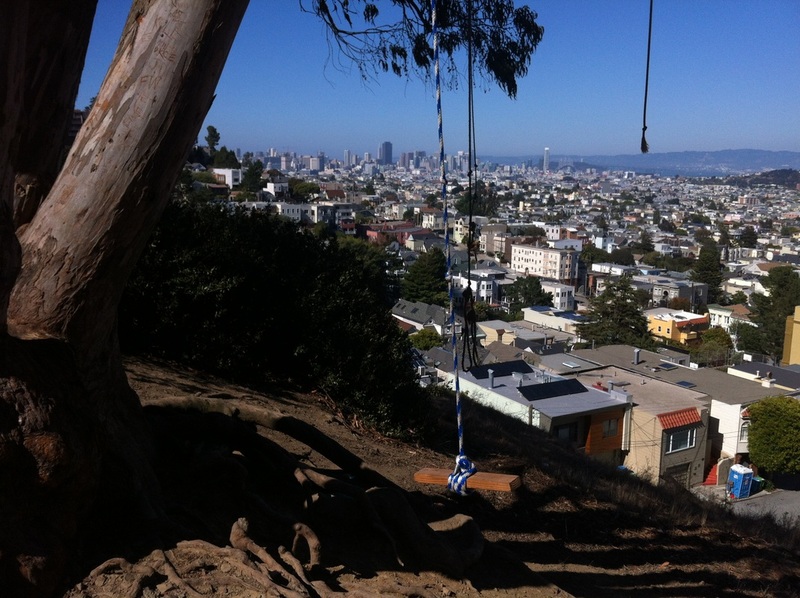 There are many perks that come with urban hiking that cannot come in the same way from mountain hiking. I descended down a couple hundred steps and decided to continued downhill until I reached Jones Street. Turned right somewhere in the vicinity of Jones and Filbert, I climbed up a couple hundred sidewalk steps. 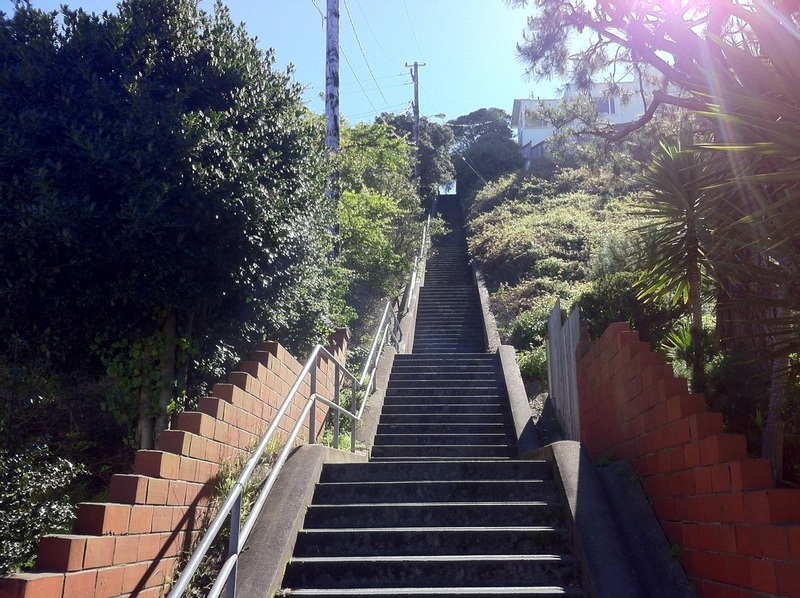 This is really a workout, Jones St is a pretty steep hill. Just after climbing past Union St, turned left onto Macondray Lane. Macondray Lane is such a beautiful public pathway. It's such a simple, narrow pathway. 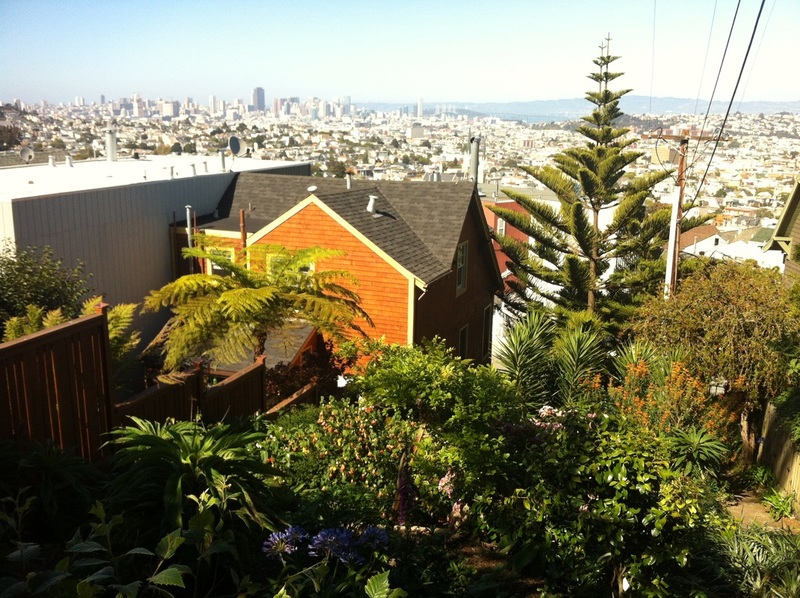 But From the water fountain, to the parrots that happen to be there consistently, and the garden, it truly is one of the hidden gems of San Francisco. After walking through Macondray Lane, I reached Taylor St. 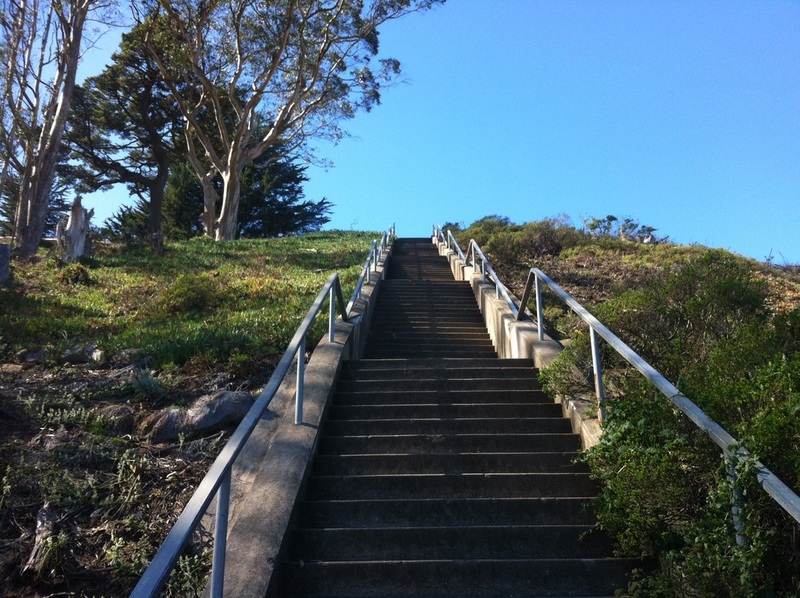 I continued uphill and climbed the Green Stairway. 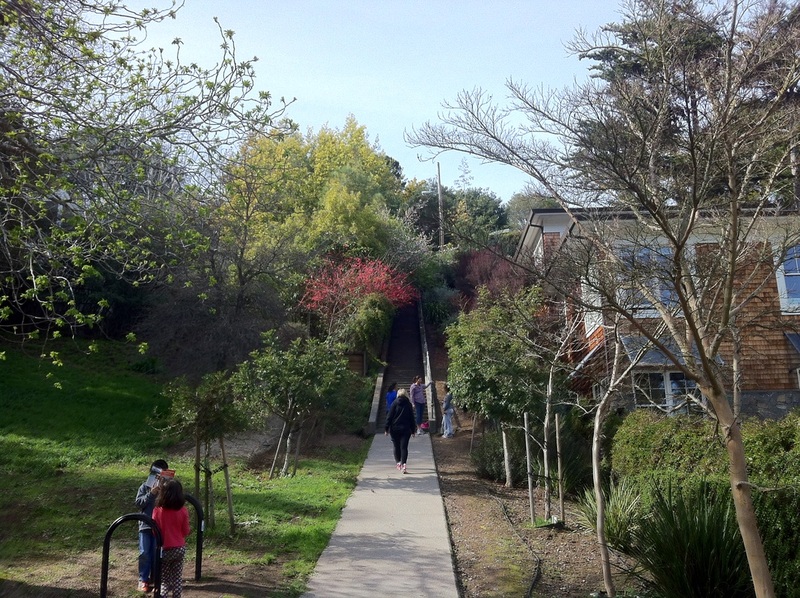 After that, I simply descended back down and walked on Taylor until I reached Vallejo St.
Ina Coolbirth Park is one my favorite stairways in San Francisco. You can find the elderly performing tai chi. 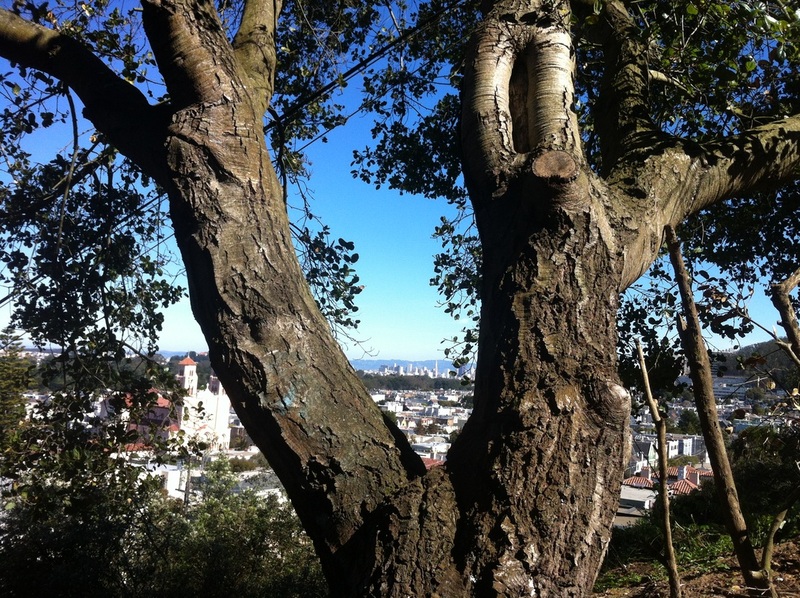 There's also plenty of benches overlooking the Coit Tower, Lively green plants, and a fine view of the Trans America Building. 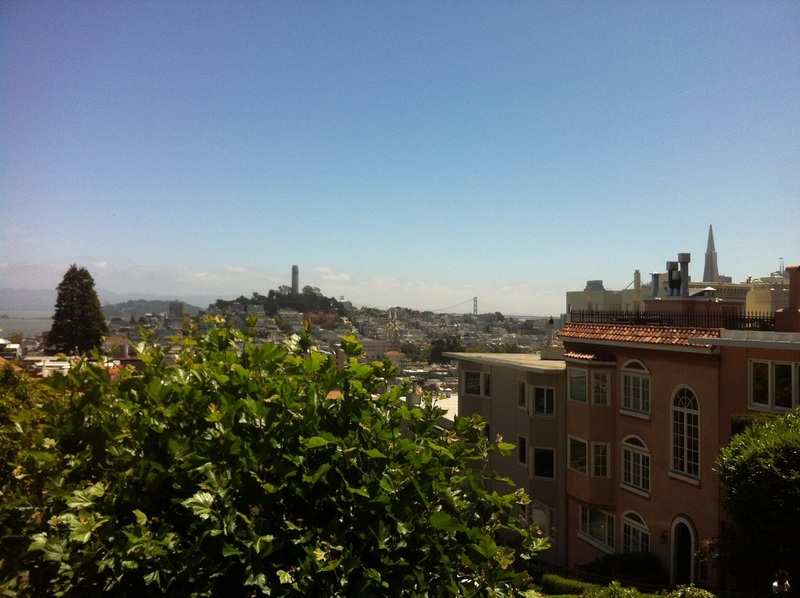 I climbed back up to Taylor St, took a pic of Alcatraz, and made my way back to Macondray Lan, and then Lombard St, and climbed the steps. You can also follow or join me on my new Instagram. It's really a convenient way to share instant photos. Still, at the end of the day nothing beats actually hiking these steps. I'm also on facebook, where you can find the photo albums I'm constantly building.